Hi, can you confirm whether it is necessary to do this through a lawyer or can we do it ourselves? If doing on our own, what government agency/office/ministry/court etc do we go to? No. A lawyer is required. Thank you for the response, this has been on my mind for a while. Would you be able to do this, or where can i go to get this done? Also can you give me an estimated cost to get this done? Lastly, what would happen after marriage, would i have to re-do the process or would the change not affect the change in my last name after marriage? PS. I have a strong idea of whose site this is. Don't you have my number, Renee? Call me. Hello, I would like to find out if it is necessary for me to have a deed poll done in the case where my name was mispelt on my marriage certificate. I am now divorced but have never changed my maiden name on any of my business or other documents/accounts. My passport which bears my maiden name is now expired, do I have to still do the deed poll? If you don't use you married name, where is the issue here? Or am I not understanding you properly? How can a mother's surname be added to a birth certificate in Trinidad and Tobago? Legal aid does not help with these unimportant matters. I would like to my name (First Name and Surname) to something completely different. Would the process be the same? Or is there another way one must go about it. As long as it's not for fraud... but it will be harder, for obvious reasons. I want to change my name since I got married recently. I've been looking online for a form, number to call or some kind of explanation on how I could do this. Could you point me in the right direction? Thanks. As long as you've accepted the fact that you want to carry your husband's name, your name is automatically changed. This is not America, where it has to be officially changed through Social Security. You can start using your "new" name now and when you want to change it at the bank/passport/id card, you just need to carry your marriage certificate. My son is 18 years old and just received in his green card in the USA, all his documents are in our maiden name. The only document that reflects my previous married name is his passport. We have tried on several occasions to change the last name on the passport but unsuccessful. When he was a minor, I presented my divorce decree which states that both he and my daughter carry the maiden name. I presented all immigration documents that also reflect our maiden name and the consulate in Miami would not accept it. I don't see why I have to do a legal name change when legally in the USA and anywhere else in the world his last name is his maiden name. His Green Card, his ID his school records are all in his maiden name. How can I get his passport changed to match all his other records? are there any lawyers in south you would recommend? It will make things harder as a family when names become and issue, but you don't have to change it. Hello, Is there an age minimum requirement for a name change by deed poll?? Hi what is the procedure in having my married name removed after divorce? I have kept my maiden name... What is the cost and how long would it take? All you have to do is show your divorce decree absolute wherever you go. If you have lost your Deed Pole where can you acquire a copy? Hi, can you legally use your maiden name after marriage as your new middle name and adopt your husband's surname? If so what is the usual process? No. It can by hyphenated, but not used as your middle name. That requires a deed poll. Where would you get a deed poll/ template and what's the cost? You need to visit a Lawyer or send me a private e-mail. Hi... How can I change a father's name on a birth certificate. What would I have to produce in order to get the new name on the birth certificate. Brrrrrr? Why do you want to change the name? Is it that you just found your biological father? Paternity test and then go to a Lawyer... or send me a private e-mail. My son is 17yrs old and he wants 2 carry my surname is it really necessary 2 get a deed poll for that? I don't see your private email or contact. Hi I would like to change my last name to my mother's maiden name and would also like to put my middle name as my first name. I read the process from your previous post but there is no contact info for you. please help. So...you're not answering your email. Hi when there is a name change (with the lawyer and deed poll) can you get back another birth certificate with the changed name on it. My son is 4 months old, and I hastily made a poor choice in name. Hi, is it necessary that a deed poll for a minor be executed by both parents? Or is it legal if done by only one parent? If it is not legal, can you please advise on whether a new deed poll must be done or can it be rectified in some way? Hi i live in the UK, how can I change a father's name on a birth certificate. What would I have to produce in order to get the new name on the birth certificate. I have one and i took it to the hight connission in the uk and they said they will send me a new one but when it came it still had the name that was there before. Then you need to find out why it wasn't done. I don't work at the High Commission. I would like to know how I can add my mother's middle name to birth certifficate. All of her legal documents carries her middle name, but they do not carry the name that is on her birth certificate. Hi my son is 3 and he has a error in his middle name, how can I correct it? That should've worked. Try another office without mentioning your past experience. Just wait until you get divorced. Hi, I recently got married and I would like to keep me maiden name and add on my husband's name. Can I possibly have two last names without having to use the hyphen? Hi, I got married in 2013 and took my husband's last name. I now what to revert to my maiden name hyphenated to my husband's last name. What is the process for that? No process. Just simple start hyphenating it going forward. You'd need to carry your marriage certificate to have your name changed. Hi, I am a single mother and was never married to my son's father. At birth my son carried his fathers surname. After we separated, I was given fully custody to my son and later I changed his surname to my surname. Do I still need his fathers permission to obtain a passport with the change of name? or would my court papers showing i have full custody along with a deep pole be sufficient? If his name is on the birth certificate, they may ask questions. Hi, I live in the UK and I recently applied for the new machine readable passport using my married name.I was told it cannot be done as I was previously married before and I didn't revert to my maiden name. Is there any way I can get this done without a deed poll as on other documents I already use my married name. Hi good day, i never knew my biological father and when my mother got married when i was 3yrs old my step dad did an affidavit and swore as my father. I then assumed his surname.. After 20yrs my mom and him got divorced and she reverted back to her maiden name and i was stuck with his surname. I am 33yrs now and no longer wish to carry his surname and would like to drop the name completely (surname) and just use my first name as my only name. Is that possible? Also i have a 14yr old son who also carries my former step dad's surname (my current surname) and i would like to change that also and have him carry my first name as his surname.. Is that possible also? My husband's is known all his life by a name that is not on his birth certificate until recently when we got married and for his passport, everything else has the other name. If he wants to continue with the name he is known by does he have to do a deed poll, if so how can this be done? Hi. I got a divorce from my first husband in 2012. I got married again to someone else last year. I have already changed my name in most places using my divorce decree and new Marriage Certificate. Got a new ID card and passport with said documents. I retired early from teaching and receive a pension. I went to Pensions Division at Treasury building with the same documents I used elsewhere to change my name but was told I need to get a deed poll through the court. Why do I need a Deed Poll if I have a divorce decree, a new Marriage Certificate and my name is already changed in my National ID card and Passport. Please help. The post clearly says that a Lawyer is required. Please read before asking a question that already has an answer. It doesn't make sense. Clearly someone is speaking as though they know what they're talking about, but don't. I have a question concerning land. What's the difference between a seed a gift and a deed of comfort? Which of these would be required to build a house on a land without the hassle of a will and the need to get the land surveyed. Someone is building a house on their parents land but wishes to have the comfort of a paper stating that their house wouldn't be jeopardized in the event that the parent dies without a will and the possibility of a relative (step mother) taking control of the property and the person losing their house. When my daughter was born I put my surname and her fathers together hyphenated as her surname. He left soon after I applied for her birth certificate and her passport reflecting this name. He is not Trinidadian and does not live or work here. He signed an affidavit stating that I am the sole caregiver of her and can make all medical decisions, change documents and travel without needing to look for his permission. I would like to change her surname to only mine. We were never married. Can I do this with just the affidavit or what would I need to do? I have no contact with him. As the post says, you have to visit a lawyer. I cannot tell you what the id card office should accept because that will be their internal policy. If I am married and wants my daughter (8years old) to carry my married name. Do I need to do deed poll and if so after it has been done and she takes it to get ID Card at 15 years and passport and DP after would she still have to walk around with the deed poll when she gets older? My husband who lives in the USA wants to add his name to his 21 year old sons birth certificate who lives in Trinidad & Tobago. My stepson was born out of wedlock and his name could be added. My stepson carries his moms maiden name, and has always known and called my husband dad. Where do we go to have the change addition done? And could it be done without coming to Trinidad....his work schedule doesnt permit traveling. You have to contact a lawyer privately to find out. Can you recommend lawyers preferably in South, that handle this issue? I would like to change just one letter in my first name to reflect the proper pronunciation of my name. I am very willing to go through the process, I just need to know who to go to. i have lost my deed poll how can i get a copy or do i have to get a new one? My name is Maxine but was misspelled Maxin on my birth paper. I want to add the 'e' what should i do? Pleasant Day. I carried my mother's maiden name while i was a few months old. I am now 25yrs. All of my identity documents and otherwise carry my father's name. I am in the process of applying for an Electronic Passport. Would an affidavit suffice or would i need a Deep Poll? Some places specify what they need; you have to ask them. My issue is with my married name being on my son's birth certificate. I want to change my name back to my maiden name now that I'm divorced and wanted to know if it could also be changed on my son's birth paper? Or, does it have to remain as my married name? Hello, what is the procedure to get my name changed on my Id seeing that I am recently married? and do you the cost and how long it takes? I have a situation where i carry all my given names (first and middle names). My passport carries one of my middle name, which i plan on using as my first name. Can I change all my other documents with that name once i have a deed of poll? How long do a deed of poll take to get and what is the cost of one? Hi my daughter is nine her father left the country some yes now and was never heard from I would like to change her surname to mine so that i wouldn't have problems getting her visa and stuff what will be the procedure to do so?? Hi. My father's surname was misspelled at birth, he never corrected this and now my surname has the wrong spelling. All my relatives carry our correct family name and I would like to change this before I get married and start my own family. Do I need to do a deed poll for this? Or will an affidavit work? Ok what I'd like to know is what's the procedure for additional names an cost?! I'm still presently married but separated. I have moved on and I'm having a baby for someone else but does want my marriage name on my baby birth paper.is it possible can I use my maiden name in the birth paper? any advice? Of course you can... you're not obligated to use your married name, even if you're married. I am separated. Can I change my married name back to my maiden name even though I am not yet divorced? Can a woman who recently got divorced change son's surname to her maiden name without his father's consent or knowledge? Will there be a problem if the court ordered him to pay child support to the child's original name which includes his father's surname? Hi,I am 20.My dad's name is not on my birth certificate.I have an affidavit but I would like to get his name on my birth certificate so i would no longer require the affidavit.where can I go to fix this. Hi, I am getting married in July and my husband wants to adopt my daughter thereafter. However I am told that the adoption process will involve my parental rights as mother. We are therefore considering the deed poll to change her name. She is 10. Is it possible and advisable to go that route? Visit a family lawyer for advice. Start at the Ministry of Legal Affairs. Hi,I got married last yr April & I hyphenated my husband's surname on my id card, now I would like to drop my maiden name.. The woman at the Id card office states, it would cost between $2000-$5000 to get that procedure done.. Is this a true statement? Hi I recently got married and I was wondering instead of carrying my husband's surname could I carry his first name instead? I am divorced five years now and I will like to drop my ex husband's surname off my tile and revert to my original name. What do I need to do to get this done - remove his surname? Simply use your name only. Hi.. 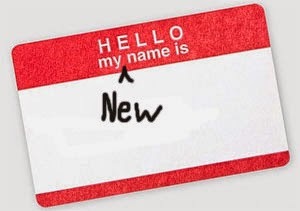 When i was younger my dad changed my birth name and sign documents to use a different name on my ID an stuff but now I want to change it back to my birth name. How do I go about doing so? Hi - I am a Guyanese national, holder of a CSME certificate, living and working in TT and I have recently got married to a Trinidad citizen. In terms of changing my surname to my husband's surname, please advise what process I should follow. Thanks and regards. If you are at least 18 years of age and have gender dysphoria and have been living in your acquired gender for at least two years, you can apply to the Gender Recognition Panel (opens new window) for a Gender Recognition Certificate, which will enable you to obtain a new birth certificate showing your new gender and name. The new birth certificate can be used as documentary evidence of your change of name thus avoiding the need for a Deed Poll." Hi I'm going to be divorced soon and carry my ex last name and I wanted to know the procedure in changing my last name, into a made up last name? Hi I would like to change the order of my middle names on my birth certificate. For example, if it's A B C D and I want to make it C D A B, would I need a deed poll for that? And if so, how much would it cost? My first name was spelt incorrectly on my original birth certificate. However, because of affidavits that were done, the correct spelling has always been used and ALL of my personal official documents have the correct spelling. Is it possible to have the error corrected on my new certificate? Also, is it legal to use a middle name as a first name? I am considering changing the structure of my entire name. That is, dropping the first name & applying my middle name and also changing the surname, not because of marriage and for any fraudulent purpose, I just never liked the surname. Can this type of alteration be done in TT, specifically to a random surname change? Can a person choose any new surname to apply to their name structure and is there another or screening process involved? I really haven't seen this happen here yet, but I'm sure it's possible using this same process. Can you please give me advice on how to remove the father's name from your child's birth paper if he's not interested in being in the child's life please? I was told by a JP that there is no law in TnT that states that a child must only carry their father's surname that both parents' names can be included e.g. Allen-Noreiga? I was told by a JP that the laws in Trinidad do not require a child to automatically carry only their father's surname. Can u clarify this for me, reason being my 11 yr old son has been carrying both my husband's & my surnames with a hyphen (Allen-Noreiga) but now that he had to be registered for SEA the MOE is refusing to use his hyphenated surname. Can I remove my son fathers name from his birth certificate? If yes what is the process, I dont want to involve the father. Good day my mother wishes to retain her maiden name due to the passing of her husband whom she has been astranged from for seven years how can this be done? Carry the death certificate to wherever she wants it changed. I am married and i add on my husband surname along with my maiden name to my id card an my passport.i no longer wish to carry his surname. I would like to drop it off.Do i need to do a deed poll an this has to be done by a lawyer? Hi, I have been divorced for over 6 years and ex husband deceased, 3 years ago, I am about to renew my passport and would like to revert to my maiden name. My ID card still has my maiden name. Goodday my son is 9 and recently had his father surname inserted on his Birthpaper does this mean his surname is now his fathers does it remain the same since his father and I are not married? The parents decide that... it's not automatic. Hi, I never changed my name after marriage and my husband and I are separated how do I start the divorce process? I have a daughter who father disappear when she was still a baby. She is now 10yrs old and have never met him. I am married 5yrs to someone else and would like my daughter to carry my husbands surname to make things easier when organising legal documents and applying for a American visa. What is the best way to go about this change of name and what ministry do i need to go too as my husband is the only father she have ever known? hey so I just happened to pick up my computerized birth certificate there's an error with my name instead of Michael the correct spelling it says "Micheal" what do I do to fix this ? the officer at the embassy in NYC said affidavit and get it notarized. Is there a special affidavit form for this I dont want to fill out the wrong one and mail in the wrong one can you post me the right form to fix this error ? There's no form... just visit a notary public and they'll assist. Good day. I would like to hyphenate my children’s name and add my surname to their existing surname’s. I would like to get a deed poll for this. Please let me know if you can do this for me and the cost. Hi we recently have a flood in our apartment building everyone lost evrything in the apartments the landlord is putting us out cause we refuse too pay him until till we get back on our feet since then the jus abandon his tenants and refuse too clean this building that we currently are still living in what action can be done in the case ??? Hi is there anyway that I can find out if my lawyer has sent my deed poll to be registered..its been 3 months and everytime I call she makes up an excuse, if so where can i go to find out and is there a time frame she is required by law to complete this? whats the average cost to get a name change via deed poll with an attorney? Hi goodday I recently moved into an apartment on Dec 1st. It's a two bedroom room apartment it's 3300 per month . I'm not pleased with it when I viewed it everything was perfectly fine. But as I moved in I'm finding all sorts of faults when it rains rain is coming directly inside even though I close the windows and it's infested with cockroaches....seeing that I only been there 10 days now can I gave the landlady notice that I would be leaving and leave before rent is due on Jan 1st and get back my deposit? need help getting my deceased mother deed on my name..